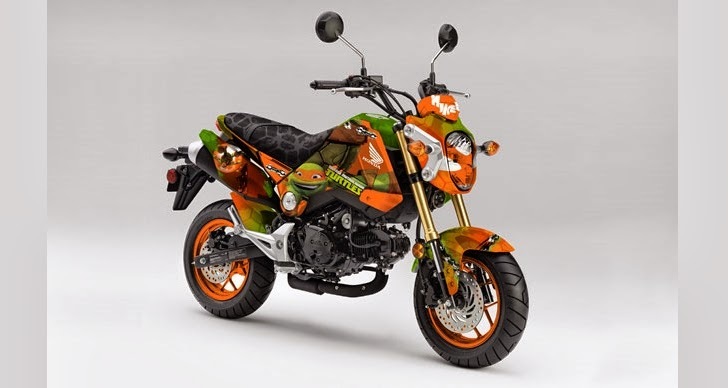 Peter Laird's TMNT blog: GROM! Thanks for the response Mr. Laird! It does indeed involve the TMNT trademark, and I'm aware that Viacom/Nickelodeon now owns the rights, but gaining the ability to plant a seed in their ear has been extremely difficult for me. Calls, voicemails, emails all have gone un-responded to. If I could run the idea by you, and get a feel for whether it is something you would support - at least in theory - then maybe when I finally do get their attention I'd have a leg to stand on, rather than a entrepreneur walking in there with less credibility. Plus it would be amazing to have you personally involved in it somehow. My email is available in my profile on here if there is any chance to speak (probably not wise to post it right here)... Thank you again either way! Cheers! I had a question, seeing how its the 30th anniversary and everything was wondering if you had any ideas as to going to Fan Expo. Currently I am looking at the Niagara Falls Comic Con where Kevin Eastman is slated to be there for the 30th anniversary and this is in June. Im sure you cant indulge on official as Niagara Comic Con would want to announce it themselves. But do you have any interests to go into comic cons for this year, as if I could meet you and Kevin Eastman, I think I would have completed anything I wanted in my life! That would be truly amazing! Thanks for everything you do! Gclub Slot Website of the game industry. Gambling for the happiness you choose. One of the fun things to do is create a new skill for yourself. All the games are played every day, all the time at home. Financial value Everyone wants to be together. How to choose fun. Nowadays casinos are considered as games developed in continuous online gaming. Meet the needs of online gamblers.